The guitar pick puncher is an innovative and totally cool idea. Any musician will love the idea of being able to create custom picks. This is also a neat idea for anyone who loves arty creative activities. You can make functional guitar picks or cool novelty items. The guitar pick puncher is great for making interesing things. You can design your own neat guitar pink earrings or necklaces or maybe an awesome keyring. The puncher features a stainless steel blade that will stay sharp for a long time. Use old credit card or gift cards to make picks. 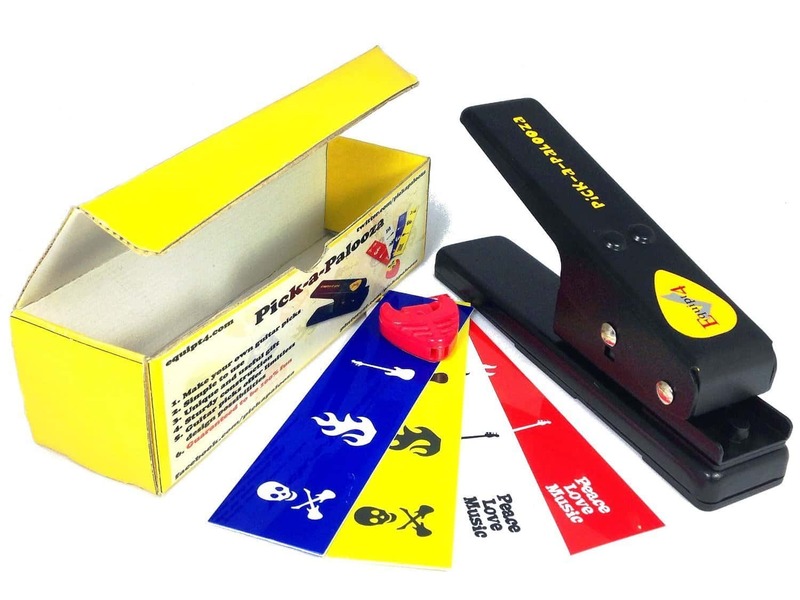 The puncher comes with four printed strips that you can make picks from as well as a handy pick holder.